Over the years we have built a few decks. 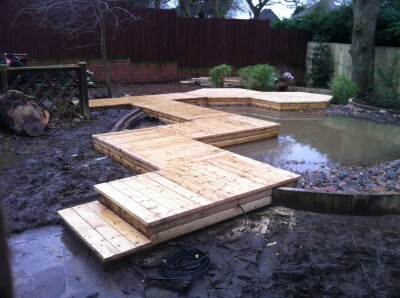 I thought these were a good selection to show how a deck can be used to really add something to a garden. A lot of people think of decks as a bit 1990’s and I can see what they mean but I think they still have a place in garden design if used appropriately. What is appropriate? Well, if there are different levels to contend with a deck is a heck of lot easier and cheaper than moving a lot of earth. 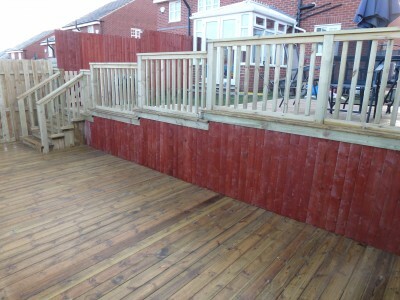 A deck in conjunction with a pond is always good and decks are good for raising the ground level outside a patio door without compromising the damp proof course on a house. 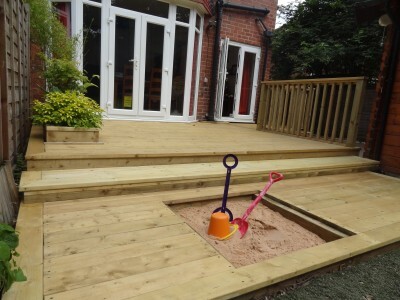 see blogg on "make the most of your space"
Decks on their own at ground level – often at the bottom of the garden are a bit daft and they can be slippery. A tip I always follow is don’t put them on groove side up. The grooves act as runners making them more slippery They also make them harder to keep clean and don’t look as good as smooth decking.